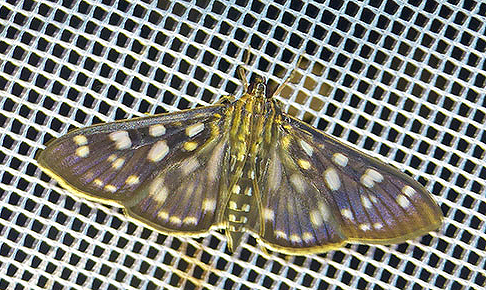 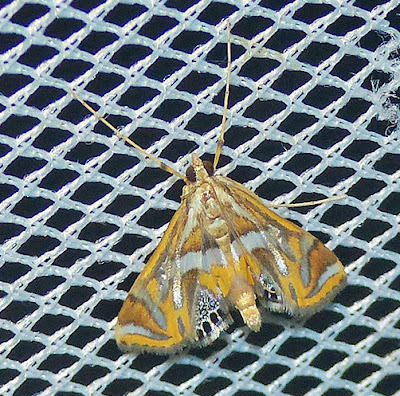 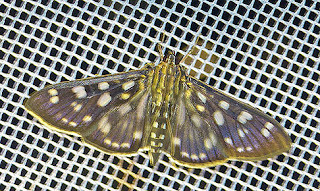 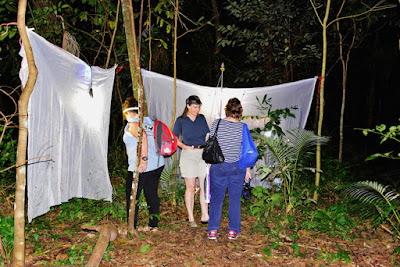 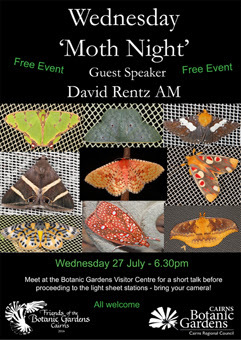 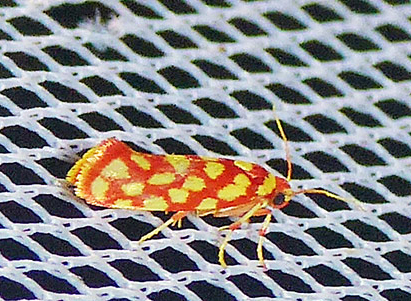 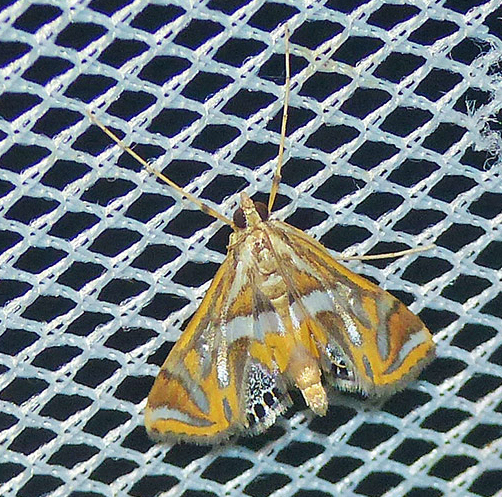 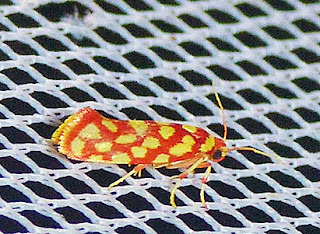 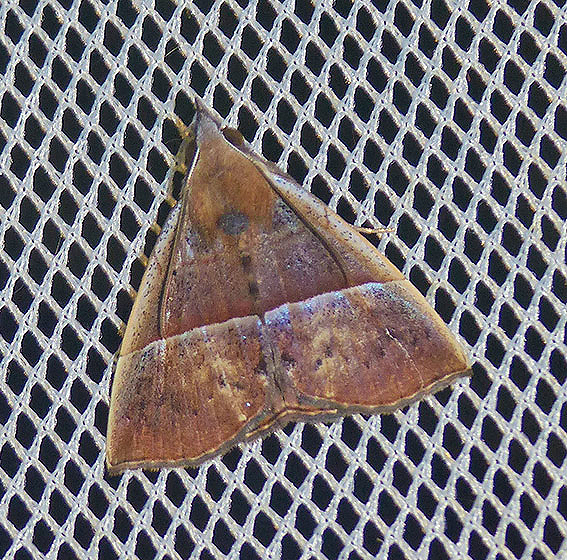 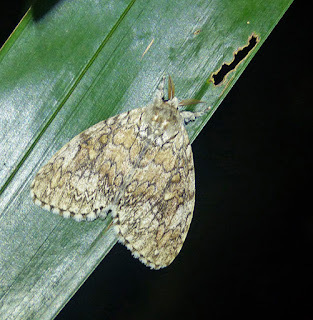 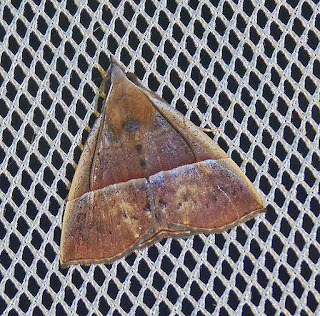 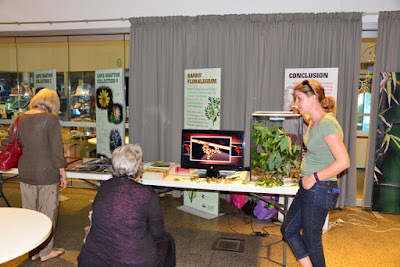 The first Australian Moth Night was held in Cairns at the Botanical Gardens under the auspices of the Friends of the Botanic Gardens. 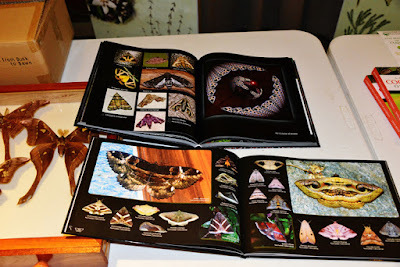 The purpose of the night was to celebrate the diversity of moths. 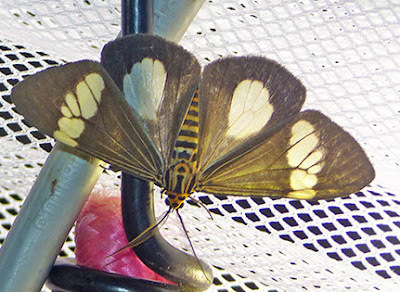 Living in the tropics, we have an extraordinary array of these insects. 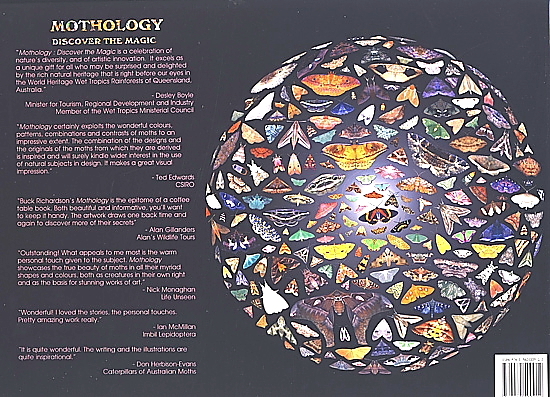 Over 3,000 species are estimated to exist in the Cairns environment. 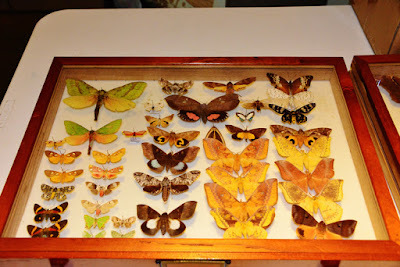 These range in size from those of only a few millimetres to the giant Hercules Moth. 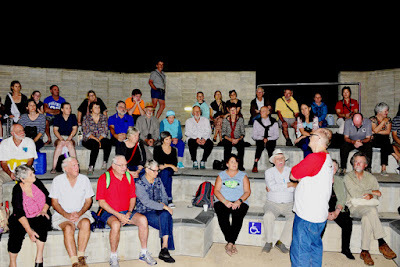 Over 75 people attended. The evening commenced with a short talk about the history of the event. Then trips to the light sheets which were placed at the start of the Red Arrow Trail and in the Gondwanan section. The Hendersons brought some living caterpillars from their local MiniBeast Wildlife business. A selection of books on moths and other insects written by resident authors were available. A tray of Cairns area moths added a bit of colour to the displays. 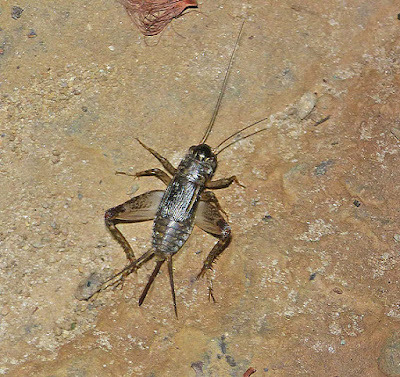 A small field cricket, Comidogryllus adina, females. The calling males are veery common in the gardens where the males sing from the leaf litter or from the lawns. 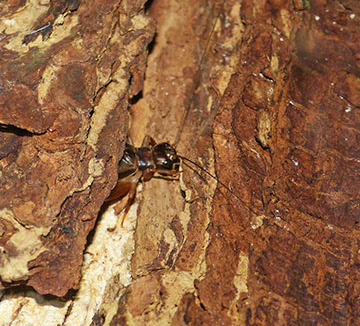 A noisy male cricket, Mjobergella warra sings from its habitat under bark. 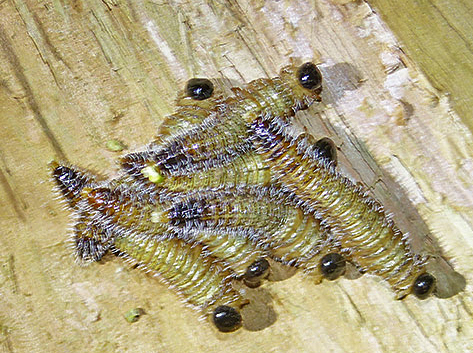 A group of sawfly larvae. 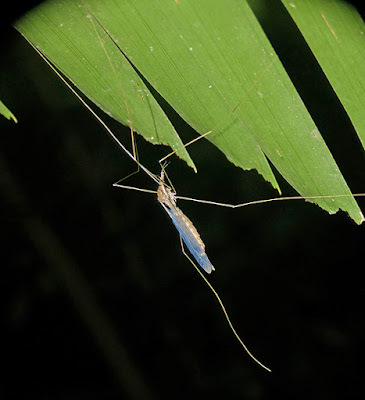 These insects are seldom seen in the tropics.